Sleep easy with an adjustable bed rail designed to fit virtually all beds. If you or a loved one has difficulty getting in and out of bed, the Elite Care safety bed rail can help. Whether you’re recovering from surgery, like an injury or hip replacement, or are limited in mobility, this bed rail is designed to provide added stability and support. For added comfort and stability, the safety bed rail handle is covered with soft foam. 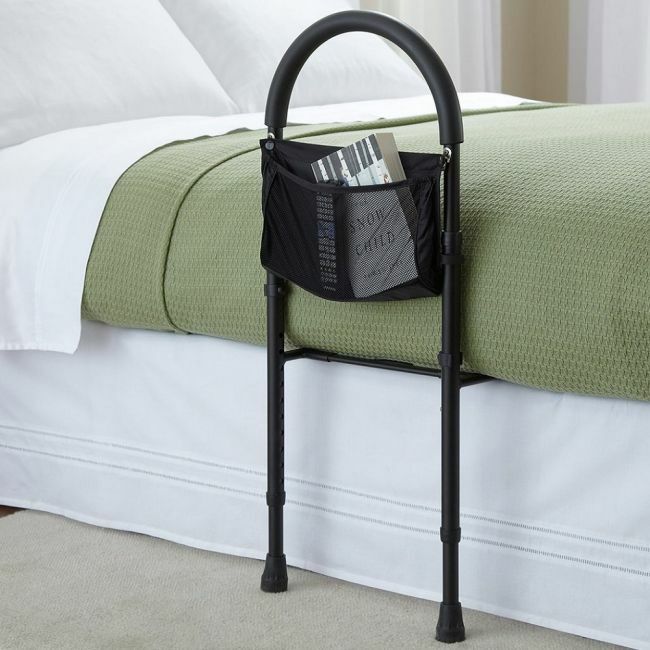 This bed safety rail also comes with a pocket for storing books, the TV remote, and other personal items. Constructed of sturdy steel tubing, this safety rail is easy to assemble and does not require any tools to set up.